It requires some work to provide the Icom IC-M3EURO and almost identical IC-M3A with a discriminator output for the reception of AIS. This modification reuses the microphone socket, so no drilling is required for an additional socket. The device I modified had channels 87 and 88 programmed as duplex channels, which enables the reception of AIS signals. If that is not the case with your device, a dealer can program channels 87B and 88B for reception. 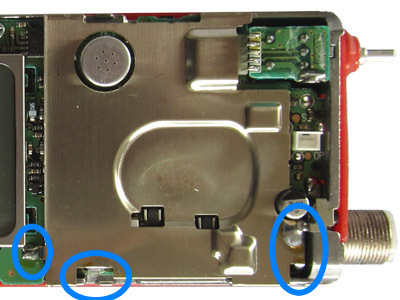 The device can be opened by removing two scews in the lower part, as well as the volume knob and the antenna socket nut. To reach the receiver IC, the metal shield has to be removed. 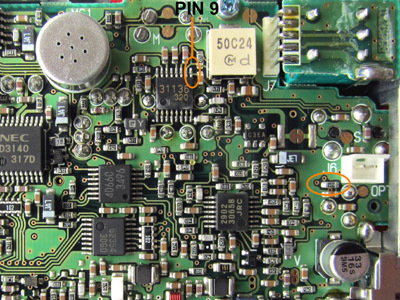 It is soldered to the circuit board at several spots. The solder can be removed with solder wick. In the IC-M3A, the metal shield is mounted differently from the picture below. Also, a screw needs to be removed. 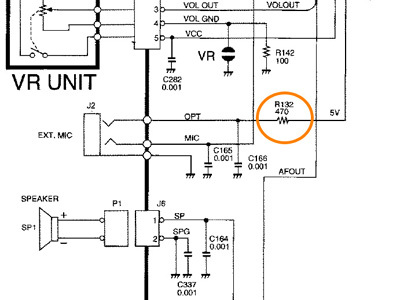 The receiver IC is a TA31136. The unfiltered audio can be found on pin 9. 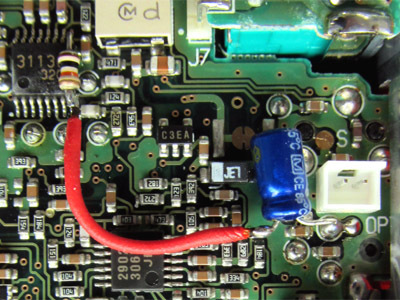 By removing a 470 ohm SMD resistor (R132), the center contact of the microphone socket ('OPT') kan be made available for the discriminator output. 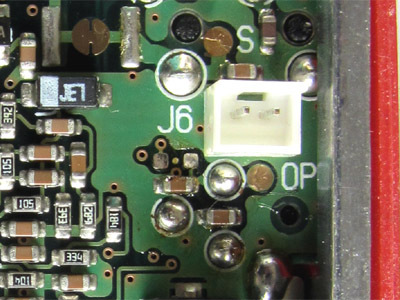 The 1 nF capacitor (C166) doesn't have to be removed. The unfiltered audio is now available on the center contact of the microphone socket. You can use the center and ground contacts of a 2.5 mm jack plug to connect the audio to your PC's soundcard. For an optimal result, the squelch should be switched off. If not, the receiver activates a battery saving mechanism when no signal is being received, so that you may miss (the very short) AIS transmissions.